Jair Bolsonaro has been elected President of Brazil, despite being at the centre of controversy on the campaign trial. Sputnik spoke with Carolina Matos, Senior Lecturer in Sociology and Media at City University London for more on the topic. Sputnik: Will Bolsonaro be able to make any changes to poverty and inequality or just make it worse? Carolina Matos: His election was very much a conservative reaction to a lot of the changes that have been happening in Brazil, so to a certain extent this is about a candidate that reflects some of the concerns of the people regarding security and corruption. On the other hand he is part of a process where he emerges as a candidate who has captured the conservative voters who have felt threatened with changes in Brazil in the last decades. At the same time he captures voters who are disillusioned with the whole process of democracy and traditional parties. Sputnik: Should Lula have been allowed to run for President, and could he have won? Carolina Matos: Lula should have been allowed to run for president. The United Nations put that forward quite strongly saying that he had the right to exercise his political right, particularly because the whole process leading to his imprisonment has been very controversial and open to criticism. There is a sense now that the public opinion is that he is a political prisoner and he should have been allowed to run. Bolsonaro is a product of both a lot of dissatisfaction with representative democracy and to some extent with liberal democracy, similar to what’s happening around the world regarding Trump for instance. 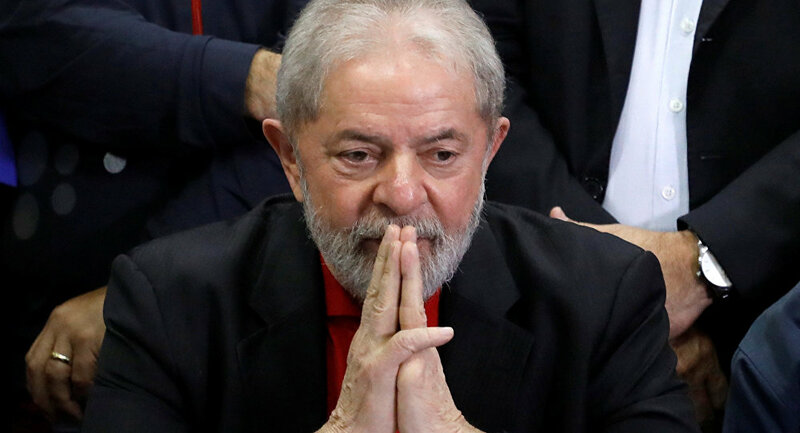 This is very particular to the Brazilian reality; where there is a lot of fear regarding change and the ways in which a lot of his supporters talk about communism and are very much nostalgic of the dictatorship years, this is something very particular to Brazil, so in that sense he’s very different to a more right wing politician in the European sense or even in relation to Trump. It’s very unlikely that his government is going to be tackling inequality; he may make matters even worse and could exacerbate the conflict that already exists.